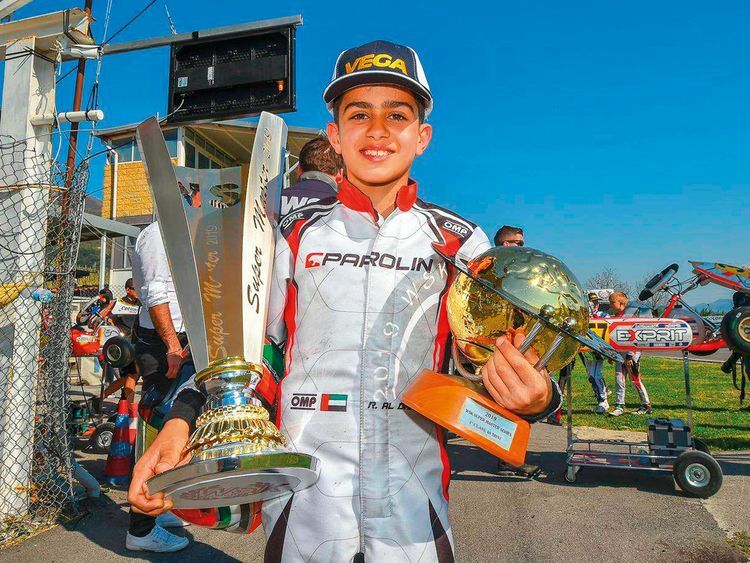 Naples: Budding Emirati race karting star Rashid Al Dhaheri won the Championship for the WSK Super Master Series this weekend in the Mini category. His victory at the International Circuit Napoli Sarno circuit with Parolin Racing made it three wins out of four rounds of racing for this competition — including at Brescia, and Adria — the first such achievement by any Mini driver for the past six years. He achieved 322 points for the tournament in total, which placed him 76 points clear of the nearest competitor. “It is a great honour to see the flag of the United Arab Emirates on the podium and the national anthem playing while celebrating this victory,” he added. The WSK Super Master Series is the pinnacle of karting, and the tournament is followed by Formula 1 teams and management.